Giveaway! Promotional content provided by Grace Hill Media. 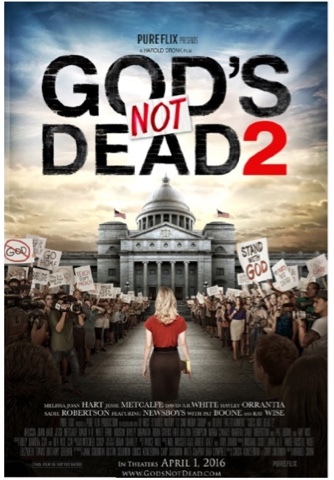 We are so excited to be working on God’s Not Dead 2 - the sequel to the highest-grossing independent faith film of 2014 God’s Not Dead.God's Not Dead 2 is about taking a stand. It's about courage and faith. This movie will encourage us to reflect on our own lives and ask ourselves the question whether we have the courage and faith to fight for our God-given right to share and express our beliefs no matter the cost. The film's central theme of religious liberty is a hot topic being addressed in our classrooms, courtrooms and national news today. The film directed by Harold Cronk stars Melissa Joan Hart, Jesse Metcalfe, David A.R. White, Pat Boone, Hayley Orrantia, Benjamin Oyango, Paul Kwo, Ray Wise, Sadie Robertson, and Robin Givens. There are also cameo appearances by Gov. Mike Huckabee, leading Christian apologist Lee Strobel and The Newsboys. From the college classroom of GOD'S NOT DEAD to the public square in GOD'S NOT DEAD 2, the name of Jesus is welcomed less and less with each passing day. If Christians don't take a stand today, will we even have a choice tomorrow? The film takes you back to Hope Springs, home to the University, but also Martin Luther King Jr. High School, where beloved teacher Grace Wesley teaches her passion, history. Her love of teaching, her love for her students, and her love of life all come from the same place: her love of Christ. When a student asks a question regarding Jesus in class, Grace's answer causes her to face an epic court case, that could expel God from the classroom. Gov. Mike Huckabee endorsement, "A riveting story, brilliantly told, and one that is absolutely plausible as if it were taken from today's headlines. 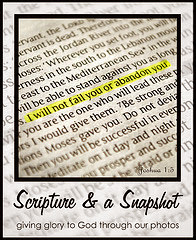 A must see for every believer!" The movie looks great, people are going to love it! This giveaway is provided by Grace Hill Media. No compensation has been received for sharing about this movie. Im Canadian or I'd enter. I loved that he challenged the professor due to his beliefs and didn't just go along with it.